Since the dawn of humanity, technology has shaped our experiences and our lives. The inventions that we create have revolutionized everything, from food to medicine to warfare. But what happens when our own technology turns against us? 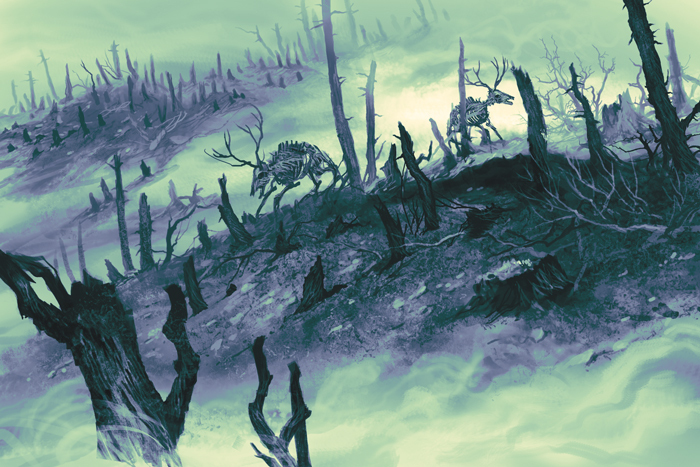 With Revolt of the Machines, the fourth book in The End of the World line of roleplaying games by Álvaro Loman and José M. Rey, you have the chance to find out. Today, we invite Tim Cox, the writer of Revolt of the Machines and the other The End of the World books to talk about his personal favorite scenario and some of the dangers you might encounter during the last industrial revolution! When Lead Developer Tim Flanders asked if I wanted to write a designer diary about my favorite scenario in Revolt of the Machines, the choice was at least as difficult as it was for the previous three books in The End of the World series. It’s like choosing a favorite child, if your children are all terrifying and disturbing representations of your worst fears for civilization. If anything, this book has some of the most varied scenarios yet, despite the common theme of technology rising up to destroy (or at least enslave) humanity. I think that makes the choice even harder! Still, if you were to hold a killer robot to my head, I would probably go with the scenario titled Heavy Metal. Of course, explaining why it’s my favorite is going to require some spoilers, so if you plan to be a player in this scenario, you may want to skip to the end. Or work on your poker face. Fortunately, any spoilers I can give are only partially useful to a player, since the Game Master tailors each scenario to fit a unique collection of players and hometown. While all of the scenarios are written under the assumption that the players will depict fictionalized versions of themselves, I think Heavy Metal is particularly promising for this approach. To sum it up, the Heavy Metal scenario is about technology of all sorts, from everyday devices like toasters and vacuum cleaners to military satellites, turning on humanity in the most amusingly destructive ways possible. While military hardware naturally represents a serious threat, I personally prefer the more understated danger from common items. Not only does this give the players a fighting chance (at first), it also allows the Game Master to really take advantage of the game’s unique premise. Running from a killer car is always good gaming material, but how much better is that moment when it’s your friend’s expensive new sports car that he wouldn’t shut up about? Can he bring himself to destroy it, if that’s what it takes? This scenario also lends itself to a dark, comic take on the apocalypse, which is another aspect I like. It’s hard not to find some humor in the idea of your smartphone plotting your death, no matter how dangerous that might be. And that’s another thing—in the Heavy Metal scenario, every technological device and machine wants to kill humans, even the ones that don’t really have a good way to do it. A malicious toilet might be able to do little more than overflow and ruin the floor—annoying, but hardly life threatening. Then again, it might be more of a threat once it teams up with the water heater or the electrical system. 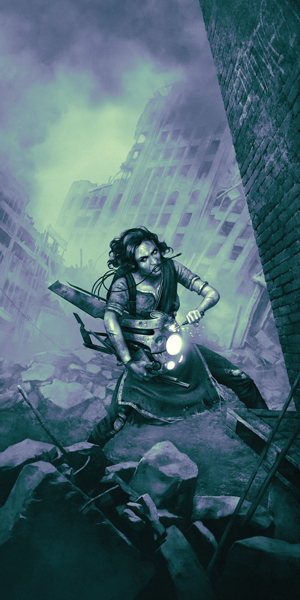 If players do survive the mechanical onslaught, they face an entirely different challenge in the post-apocalypse—forging a new life without the technology they’re accustomed to. Even the most outdoorsy of us tend to rely on modern advances in our gear for camping, hiking, hunting, and any other skills that translate to survival in the wilderness. Without those tools, players must improvise solutions to even the simplest hurdles. You can’t trust your compass, and you’d better hope you have a paper map stashed somewhere. 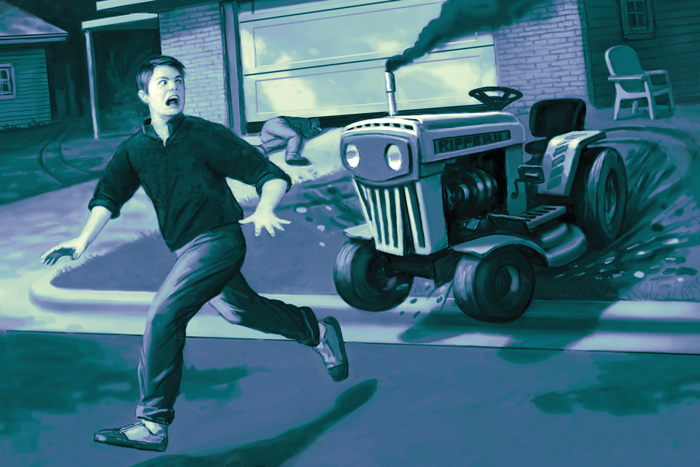 One of the most enjoyable parts of writing this scenario was coming up with just some examples of how everyday household items, industrial machinery, and vehicles of all kinds might make (potentially lethal) trouble for the players. The possibilities are pretty close to limitless, and I’m sure I only scratched the surface. Game Masters should have a great opportunity to stretch their devious imaginations, and I hope to hear some stories of particularly creative player deaths. Heavy Metal might be my preference, but with five completely unique scenarios in the book, I’m sure each Game Master will have their own favorite machine-based apocalypse, whether it be murderous cyborgs or treacherous domestic robots. With the massive variety of potential threats to face, players should never know quite what to expect when they sit down at the table for a game of Revolt of the Machines! Drones are flying overhead, firing missiles into every major city. Cyborgs are kidnapping people off the streets for nefarious, unknown purposes. Your smartphone and your dishwasher have teamed up to destroy you. In Revolt of the Machines, you never know exactly what you’re going to encounter, but you can be sure of one thing—the end of the world has never been more fun. 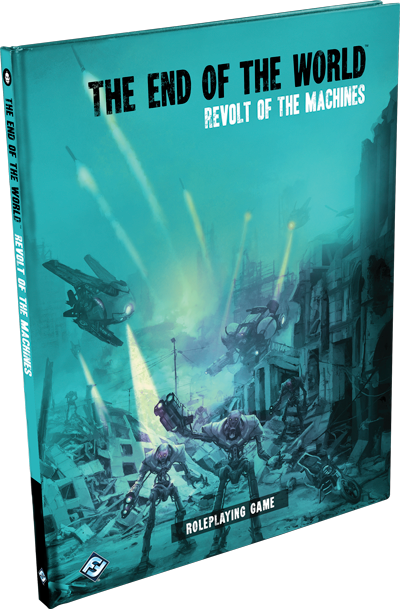 Pre-order Revolt of the Machines at your local retailer today!